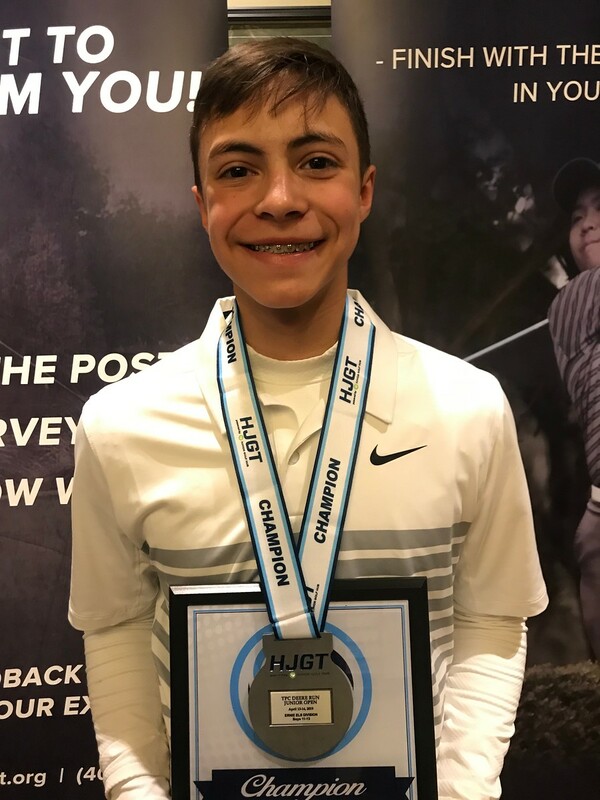 From Saturday, April 13 – Sunday, April 14, the Hurricane Junior Golf Tour held the TPC Deere Run Junior Open at TPC Deere Run in Silvis, IL. 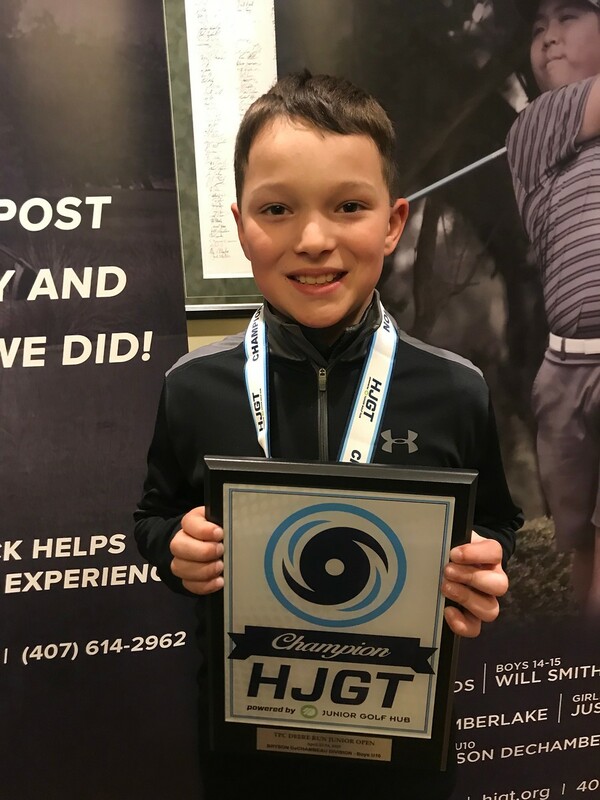 The tournament was made up of a 36-hole, two-day format and the field was made from five divisions that included the Tiger Woods Division Boys 16-18, Will Smith Division Boys 14-15, Ernie Els Division Boys 11-13, Bryson DeChambeau Boys 10 and Under, and the Justin Timberlake Division Girls 14-18. Leading off the Tiger Woods Division was Nathan Kraynyk of Dhahran, Saudi Arabia, as he finished with 151 strokes. 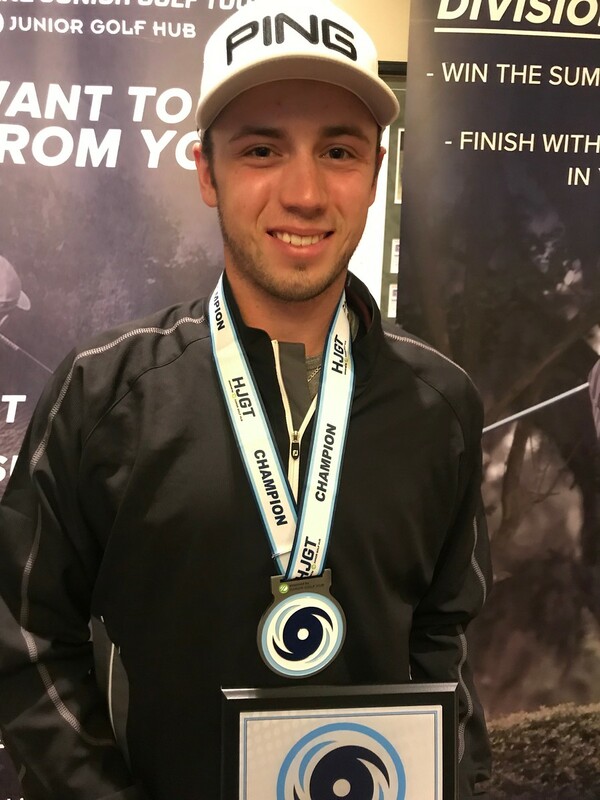 Hunter Johnson of Ankeny, IA and Alex Eickhoff of Hillsboro, IL, tied for the silver as they each finished with 158 strokes. It was a tight race in the Will Smith Division, as there was a tie for first place. Grant Greazel of Marshalltown, IA and Owen Mullen of Nova Scotia, Canada both earned the gold as they finished with 158 strokes each. Thomas Sutherland of Nova Scotia, Canada rounded out the podium a she finished with 163 strokes. 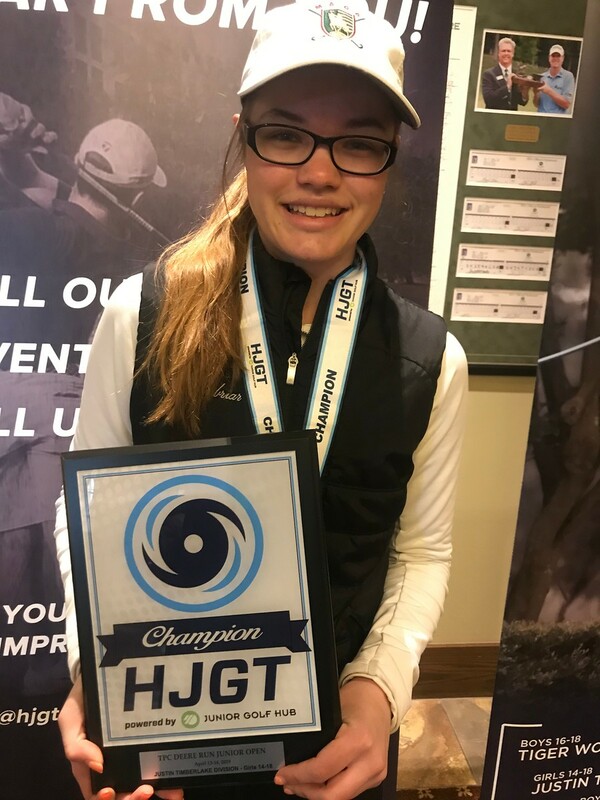 Claire Solovic of Imperial, MO earned the gold in the Justin Timberlake Division, as she finished out the tournament with 152 strokes. The silver went to Piper Hill of Medford, MN with 167 strokes. There was a tie for third, as Ananda Zhai of Woodbury, MN and Gabby Tremblay of Hayward, WI each finished out the weekend one stroke behind Hill. The champion in the Bryson DeChambeau Division was Sam Carraher of Crown Point, IN, with 164 strokes. 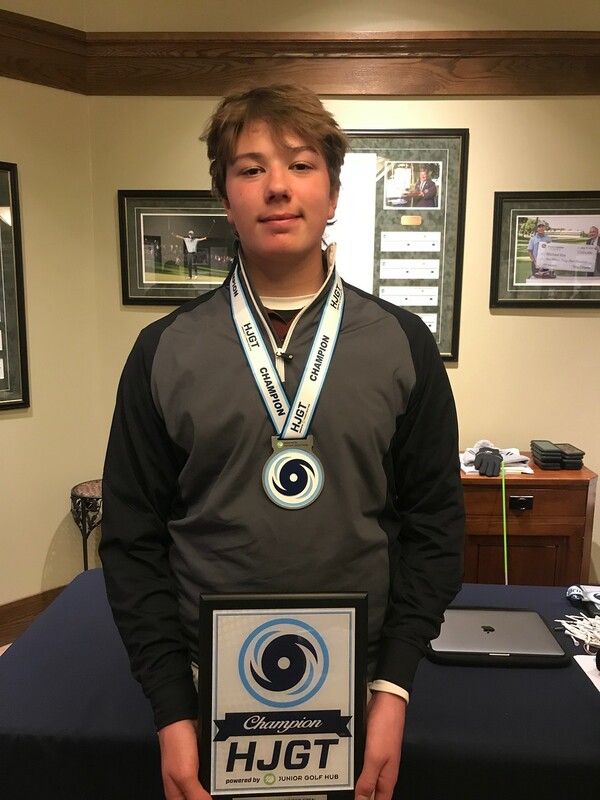 Caden Fehr of Wildwood, MO earned second with 170 strokes. Rounding out the division was Aidan Antony of Milwaukee, WI with 213 strokes.